Lake Tahoe in California, the largest alpine lake in North America, is arguably one of the best places to stay to experience the majesty of the Sierra Nevada mountains. The lake has become a hugely sought-after destination for the way it caters to all tastes and sensibilities: from active adventure seekers to those looking to unwind in luxury, set to the backdrop of incredible mountain views. Lake Tahoe itself is the star of the show. 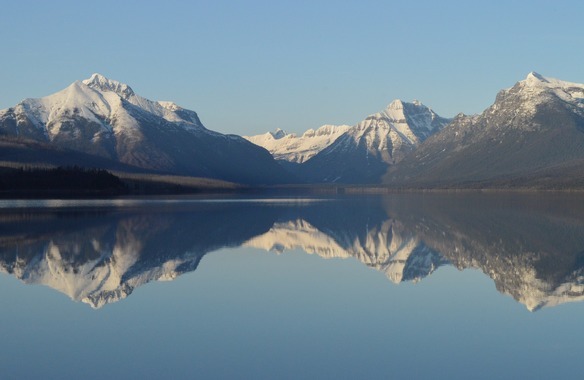 At 35 km long, and nearly 500km2, the lake is a sublime force of nature; catching the reflection of the nearby mountains in its mirror-like surface is a sight few will forget. For another truly incomparable vista, make a trip to Emerald Bay State Park, and take in the panorama from the Emerald Bay Lookout. One of the best things about Lake Tahoe is how seasonal a destination it is. Not in the sense that it has an 'on' and 'off' season, but in the regard that as the seasons change, so do the activities on offer at the lake. The diversity of things to try is tantalising: incredible skiing in the winter, on Northstar and Squaw Valley (host of the 1960 winter olympics); golf on the fairways of the Robert Trent Jones Jr's championship course; mountain biking down the Tahoe Basin; and even scuba diving in the lake itself during the warmer months. The beauty of Lake Tahoe is that it's the perfect place for a luxury holiday at all times of the year. Whether you're visiting for some winter sports, or a relaxing sunny summer break, Tahoe is the perfect choice. Chilly, snowy winters, and hot, dry summers make this natural wonder the ultimate spot for some mountain luxury. Snowmass village is a small, charming ski destination, set amongst four mountains including Aspen Mountain and Snowmass itself. If winter sports appeal, and if you're looking to take in the views from some of the most inspiring mountains available, then Snowmass could be the perfect destination. Possibly the greatest appeal of Snowmass is during the winter season, when a blanket of snow coats the surrounding mountains, turning the area into one of the most enviable and enjoyable ski destinations in America. When it comes to sights, few things are more exhilarating than taking a ride on the 2,200 foot 'Sheer Bliss' lift, as you take in the vista that makes up the surrounding peaks. It's unsurprising that the reason most people spend time in Snowmass is to enjoy the skiing and winter sports. With a huge range of runs of all colours, and catering to a wide audience, the mountains here are perfect for all abilities of skier. The family-friendly attitude, and wide choice of everything from simple slopes to elaborate mogul runs make this the perfect winter sport destination. It's worth noting that Snowmass isn't only enjoyable during the ski season. While during the warmer months you might not have the option of enjoying an alaskan sled ride, you'll still have plenty to enjoy. From music festivals, to hiking trails, trout fishing, and bike rides, Snowmass is arguably just as enjoyable in the heat of summer. The proximity to the nearby Aspen also means you'll be spoilt for luxury options, from the very best restaurants, to some of the finest art and culture. 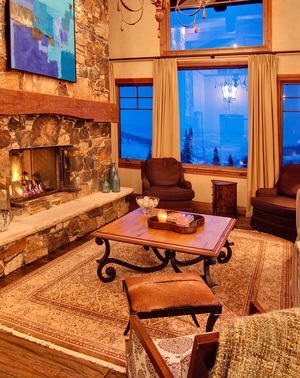 It's possible to enjoy the mountain luxuries of Snowmass at any time of the year. If you're planning (as many do) to indulge in some skiing, however, then the best time to visit is during the season, which runs between late November to early April. It's worth noting that summer visits won't disappoint though, with consistently warm days, and a landscape that's transformed by meadows and lush green fields. In stark but delightful contrast to the winter slopes of Snowmass, Napa Valley is the pinnacle of the beautiful wine country situated north of the San Francisco Bay area. With an abundance vineyards, supplying over 400 wineries across a bucolic patchwork of lush, rolling hills, it's easy to see why the vistas of Napa attract so many travellers with a luxury sensibility. The mountains here might not induce feelings of the sublime in the same way as those at Lake Tahoe, but with some of the most charming vistas - coupled with the California climate - Napa Valley is a joy to experience first hand, for a truly luxurious holiday. 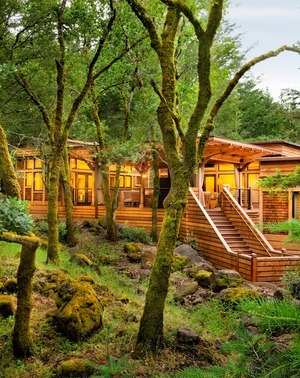 The views of the beautiful Napa Valley steal the show here, and there are a few ways to truly appreciate them. To do this in luxury, arrange a meal at the exceptional Auberge du Soleil terrace. You'll be treated to not only some of the finest food and wine in the region, but an incomparable panorama. There are plenty of other sights to see too: from the wonderfully quaint wine train, to an eight-storey, Tuscan-inspired authentic castle and winery at the Castello di Amorosa. To take in the majesty of the wider landscape, organising a hot air balloon tour may be the most fitting luxury experience. You'll be able to see for miles, and enjoying a tour like this during a warm Californian sunset could be the ultimate Napa Valley experience. If you prefer things a little more grounded, you could try your hand at horseback riding, or enjoy a hike on one of the many picturesque trails. If the active lifestyle appeals, you could also try a bike ride in the sun. Perhaps the most authentic Napa Valley experience is taking part in a winery tour and tasting session. There are countless to choose from; you could even take the time to appreciate the beauty that's present inside the mountain landscapes, by exploring the cave network of Calistoga at Schramsburg Vineyards (where they produce some of the best sparkling wine in the area). Fortunately, Napa Valley is a joy to visit all year round, as the wineries don't close, and there isn't an 'off-season' as such. With that in mind, it's arguably most enjoyable to visit during either the harvest season, or during spring. The grape harvesting takes place between the months of August and November; there are fewer tourists earlier in the year, from March to May, and you'll be able to enjoy spring in full bloom. It's fair to say that while Napa Valley is possibly best enjoyed during the sunny months, it's still a pleasure to visit during the comparatively quiet winter. 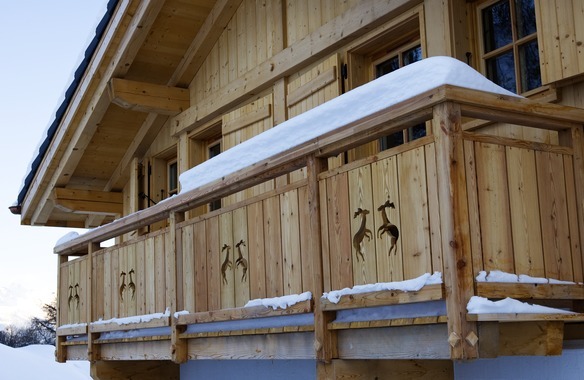 For a peaceful, relaxing stay, winter could be the perfect option. Wide open plains and towering distant mountains have been the staple backdrop of Westerns and other cowboy imagery for years, but for an authentic taste of this scenery - and some of the finest vistas in the country - luxury travellers are frequently making the journey to the 'West's most Western town'. With the proximity to the McDowell Mountains - an absolutely breathtaking vista - adding a sense of grandeur, a stay in Scottsdale is a fantastic way to indulge in some luxury, in the surroundings of the Sonoran Desert. When it comes to mountain views, Scottsdale doesn't disappoint. Set right in the heart of the city is Camelback mountain, which is quite the sight to behold - although its main hiking trails are rated 'extremely difficult', so it might be best to view it from a distance. The surrounding Sonoran Desert is a beauty in itself, and simply taking a drive or walk around - or out of - town can be inspiring. Legendary architect Frank Lloyd Wright was so enamoured with it that he chose to build his iconic architectural school and winter home here. Daily tours of Taliesin West give visitors with a penchant for the exceptional a chance to witness Wright's genius for themselves, as they explore a design inspired by the local surroundings, that blends the indoors and outdoors together effortlessly. Luxury travellers to Scottsdale will be spoilt for choice when it comes to things to do. A true golfing paradise, Scottsdale is home to a number of spectacular courses. Hideaways Club members receive complimentary service at Troon Golf Club, but to really test your mettle, you could enjoy a round at TPC Scottsdale - an instantly recognisable PGA course. Scottsdale also has something for travellers of all tastes. 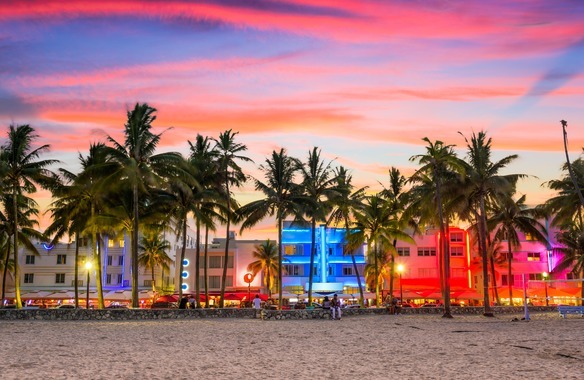 With some exceptional award-winning restaurants and bars, and enthralling nightlife, the city is a sensation for those who enjoy an evening out. If relaxing is more your thing, then the myriad spas can cater to your every need. Round your trip off with some true mountain luxury by enjoying a hot air balloon ride over the Sonoran - the views are incomparable. Scottsdale is located in an area known as the Valley of the Sun, meaning the city experiences around 330 days of sunshine each year. The summers are long, lasting from May to September, but visitors should bear in mind that the 'wet summer' runs from July through to mid-September, which could scupper outdoor adventures. 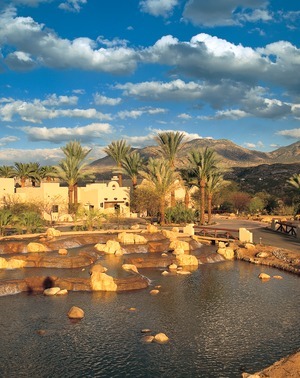 If you plan to get out and about and take part in some outside experiences, then arguably the best time to visit Scottsdale is during the spring, when temperatures are cooler, and the sun still beams down across the mountains. For a travel destination that couples some of the best mountain views with some of the most unforgettable experiences available in the US, Deer Valley could be the perfect choice. Nestled among the Wasatch Mountains, in Utah - 'The Beehive State' - a visit to deer valley is a wonderful opportunity to get back to nature, and enjoy some of the best winter and summer activities imaginable. During the winter, the incomparable ski season at Deer Valley ensures visitors will be spoilt for choice when it comes to runs, all of which are set on perfect, powdery snow, to a backdrop of some truly incredible vistas. It's easy to see why Utah was chosen as the site of the 2002 Winter Olympics. During a break in the Wasatch Mountains, you'll never be short of incredible vistas to take in. The views from the Deer Valley Resort itself are astonishing, but making the short trip down to the nearby Salt Lake City could provide you with countless stunning photo opportunities. In particular the iconic 'Twin Peaks' stand out as one of the most exceptional mountain views in the area. While not related to the David Fincher TV show, this vista view is one of a kind. For a real treat, you could enjoy this view - and the many more set over the breathtaking Wasatch peaks - from the comfort of a luxurious hot air balloon ride. When it comes to things to try, this area of Utah has something to offer everyone. If you're visiting during the winter ski season, there are a wide range of runs and peaks to try, many of which are recognised the world over for their exceptional quality. It's not all skiing though, and while this may be the classic way to enjoy a mountain luxury getaway, Deer Valley and the surrounding areas have plenty of other delights in store for visitors. From fly fishing, bike riding and golf in the summer, to live entertainment at the stunning Snow Park Outdoor Amphitheatre, there are a number of indulgent and exceptional experiences to be had. For a once-in-a-lifetime experience, you could even take a ride on 'The Comet' at the Olympic Park. This Winter Olympics bobsled run is, at over 3000 feet, one of the longest in the world, and will have riders pulling a massive 5 Gs as they rocket down at over 70 miles per hour. If you're planning to experience the fabled 'greatest snow on Earth' that Utah has to offer, and are planning a luxury mountain ski break, then inevitably you'll need to visit during the winter season. This usually fall between early December and early April, so there is a good window of time to make the most of the winter magic. Deer Valley is also worth visiting in the summer, and while the slopes and Olympic Park might not carry with them the same glistening white charm, this part of the Beehive State has a unique - and equally awe inspiring - aesthetic during the warmer summer months. With such a range of things to see and do, Deer Valley is the perfect place to visit year-round, choosing when will be purely down to personal preference.